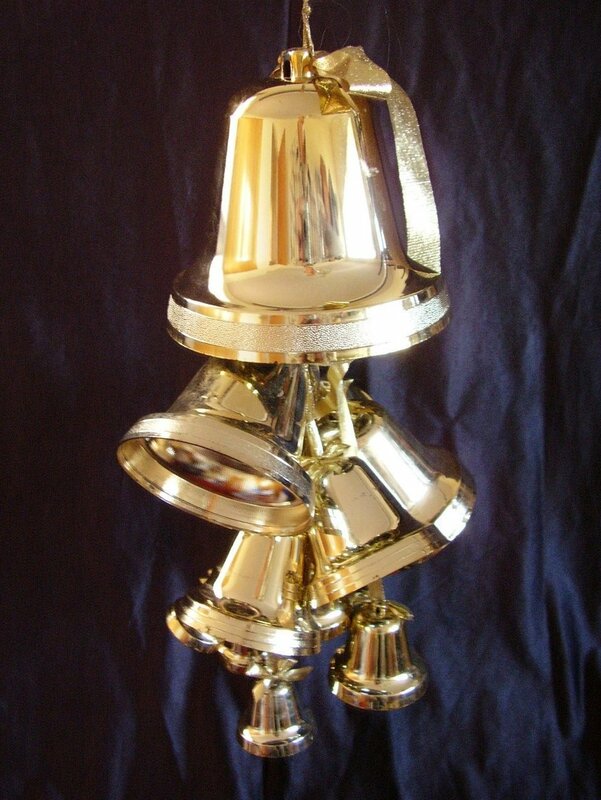 A set of hanging gold plastic bells. These do not light. 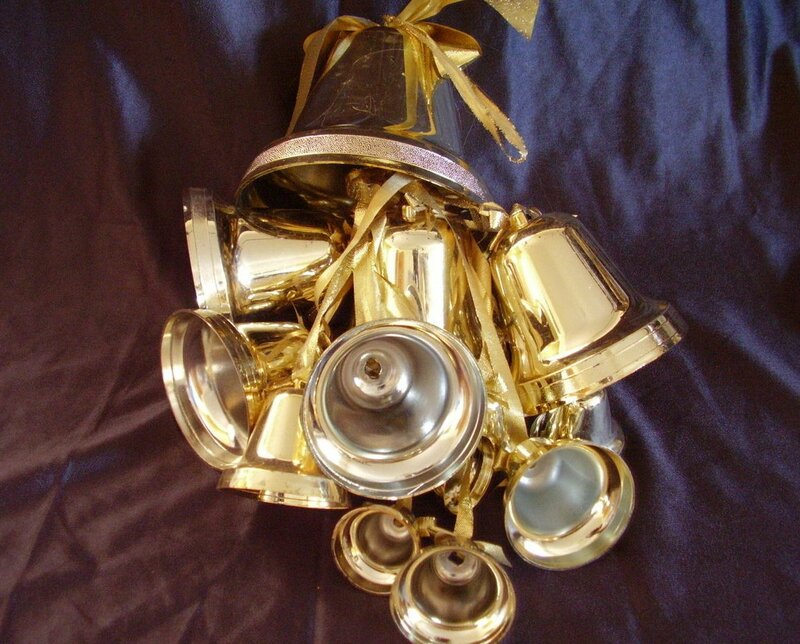 The cluster of bells holds 16 assorted size bells tied with gold metallic like ribbon. 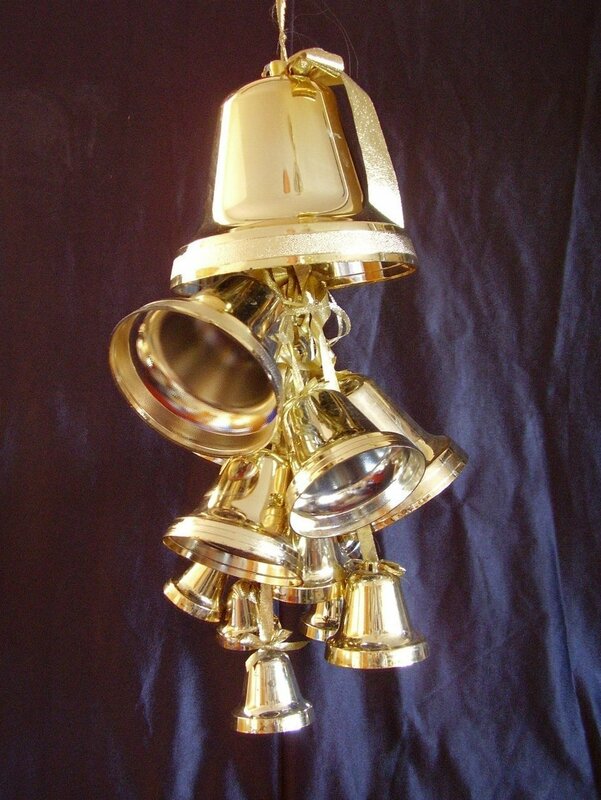 A set of hanging gold plastic bells. These do not light. 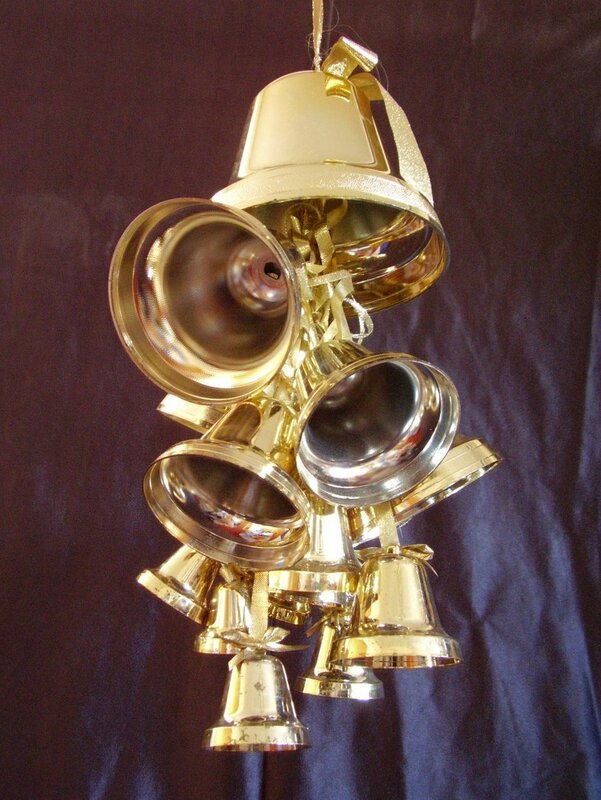 The cluster of bells holds 16 assorted size bells tied with gold metallic like ribbon. The largest bell is 6 inches in diameter x 5 1/2 inches tall, there are 3 that measure 4 inches in diameter x 3 1/2 inches tall, 3 that measure 3 1/8 inches in diameter x 2 3/4 inches tall, 2 that are 2 3/8 inches in diameter x 2 inches tall, 3 that are 2 inches in diameter x 1 3/4 inches tall, and 4 that are 1 1/2 inches in diameter x 1 1/2 inches tall. Some scuffing and some minor loss of gold paint. Total approximate length including the top hanger is 20 inches.